“Ouch, that really hurt.” “What was it?” my sparring partner replied. “The choke or the overstretching of the elbow joint?” “The quick throw, I had no time for proper fall breaking.” I replied. It happens in our sport, we try and experiment and try to find the best way to perform a technique. The goal is not to inflict pain but to figure out what works and what not. Knowing where the pain is and whether it affects the recipient is important beyond jujutsu and in fact is the core of Product Management. Let’s look at a handy visualization of customer pain to help Product Owners and Product Managers to prioritize. Estimation, if there is one concept hard to grasp in product development it will be when things are done. With done I don’t mean the releasable increment from the iteration, but rather what will be in it? or in Product Management speak: “what problem does it solve for our customer?”. I increasingly am practicing randori (sparring matches in judo) and find it has increased my agile fu. It’s a constant adjustment of balance, creating opportunities rather than waiting for them to unfold, follow through fast or the opportunity we created is gone. It’s hard work, time boxed and most of the time I loose learn. The key thing in both situations is that we don’t have a lot of time to estimate what will work or not. We can’t plan very far ahead and we have almost no data to make assumptions on, we do know however the extreme boundaries of the assumptions and iterate from there. The face of guy in the hallway expressed a mixture of euphoria and terror when I passed him in the hallway. We had met at the coffee machine before and we discussed how the company was moving to a more Scrum based way of developing their products. “You sort of know how this PO thing works right?” was his first question. When I nodded he confined in me that they had made him Product Owner of a new team, without prior training. In general, not the best start, but I can see why the guys were anxious to start: their Product would address a pain experienced by many of their clients, promising start! Over coffee and a whiteboard we came up with four steps you can take to kickstart a team that is new to Scrum and the Product Owner role. At some point, you get a nose for things that don’t feel right. Things that sound reasonable when explained, yet you get that gnawing feeling it sort of goes against nature. Working with Scrum and compliance to ISO is one of those things. Here are 5 ways to merge a rigid security standard, without violating Scrum values like focus, openness or its pillars, transparency, adaption and trust. 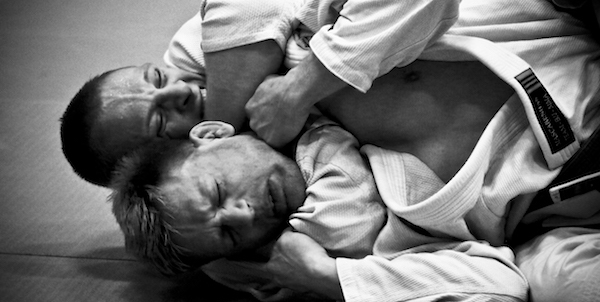 One of the cool things that Europeans added to Judo is the belt system. Japanese are patient by nature, they either do or don’t. In fact, they distinguish only the black belt, you either have it or are progressing towards it. We need a bit more guidance to know we are on the right way, hence we have the different belts (which actually originate from the game of pool.) So what are five distinct levels of Product Ownership that we can observe and what must change before we move on to the next level? Google managed to surprise both the market as well as the fans by cancelling the Project Ara modular phone. But from a Product Owner point of view it was no surprise. Ara phones lack a fundamental pilar that makes a product successful.